Cullen's Diana Madeline bottling is one of Margaret River's star Cabernets. Historically vineyards on the north side, in Australia's Wilyabrup subregion, have had the edge on Cabernet in Margaret River. Cullen's Diana Madeline bottling is the acknowledged star, the result of Vanya Cullen's dedication to biodynamic viticulture on a remarkable site in the heart of the subregion. That bottling is always a mix that includes Merlot and Cabernet Franc. I didn't pass up a rare chance to taste a 1982 Cabernet blend, which displayed the same sort of tannins and smoky overtones to cherry flavors as more recent bottlings. Elegant and long, it was expressive with espresso and dark chocolate overtones, earthy notes and impressive persistence. The 2007 Diana Madeline bottling weaves mineral notes through red berries at the core, pushing through the tannins. Both the 2013 and 2014, recently bottled, wrap swarms of fine tannins around the core flavors, more savory in 2014 and beautifully shaded with black raspberry and spice. "The vineyard is getting louder in the wine," Cullen muses, crediting her recent use of "biodynamic" barrels, selected from trees taken according to the biodynamic calendar. "The yields are smaller, too, but I think the barrels have brought about a purer expression of place." The newest wine at Cullen is labeled Vanya, which breaks away from the Diana Madeline style of blending with other varieties. "It's my chance to make a varietal," Cullen smiles. Tannins seem less imposing, red fruit more prominent, with floral overtones. "This is everything we've been working toward in terms of varietal Cabernet," she allows. At $350 per bottle, it should, and does. At Vasse Felix, next door, winemaker Virginia Willcock has embraced native fermentations in the bottlings designated Heytesbury, which, she finds, produce Cabernets with more freshness and sleekness. "When I started doing trials in 2010 I expected funky characters coming through, but it appears the tannins have better access to oxygen, and after fermentation the wines were less reductive. The lees were beautifully fresh, so we racked less." Handling the wine more gently seems to produce more elegance. Heytesbury also uses vineyards closer to the coast. "They're the older vines, smaller, and they produce finer tannins. The better Cabernet here has everything in all the right places, I want the wines to give you goose bumps." "The 2012 is so complete," she adds. "The vines wanted to do that for years. Why didn't I let them? It took the wild ferment." The newest big name on the Margaret River Cabernet scene is Cloudburst, made from a tiny 2.5-acre vineyard hiding behind a row of trees about 6 miles south of Cullen and Vasse Felix. Will Berliner, a former documentary filmmaker from New York who lived in Maine, married an Australian, who missed the warmth of her native land. They settled on Margaret River. 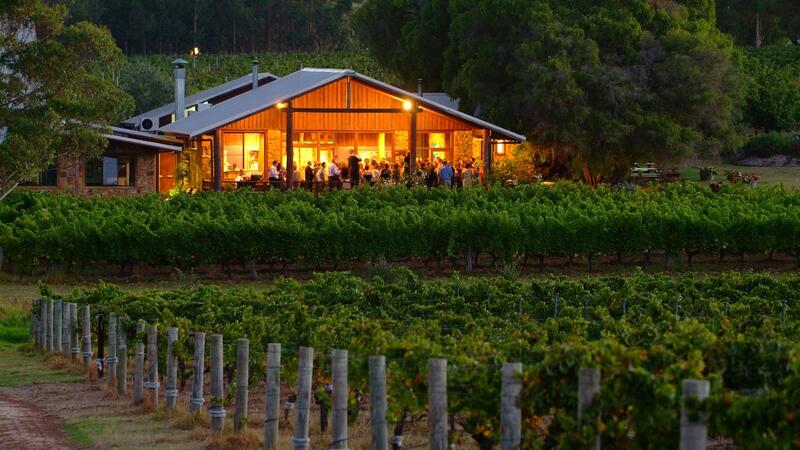 Never having grown grapes or made wine, Berliner planted Margaret River's most unusual vineyard in 2006, where he grows Chardonnay, Cabernet Sauvignon and Malbec on densely spaced vines trained low to the ground and biodynamically farmed. The results, since his first vintage, have been spectacular, showing richness, complexity, ripeness and depth without high alcohol. The tiny production, totaling only a few hundred cases, gets top dollar and has collectors clamoring. It could end up being the most-coveted Cabernet there. Previous: Getting the hang of Cabernet in Margaret River.